Chengdus & Don'ts: The First Tooth, Lost! 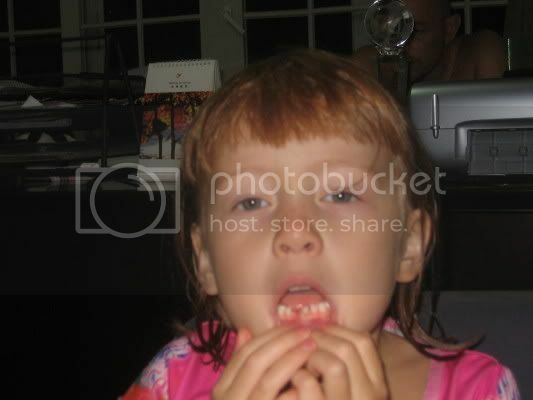 On Sunday, August 19th Gemma lost her first tooth. We were having dinner at the Shamrock as they have this great Sunday buffet BBQ. She was taking a bite of her garlic bread and her tooth came out. Here she is that evening showing off her new found space.